In Paesaggi Industriali, Sten Lex work with their iconic geometrical structures, meticulously constructed in a logical and precise manner. 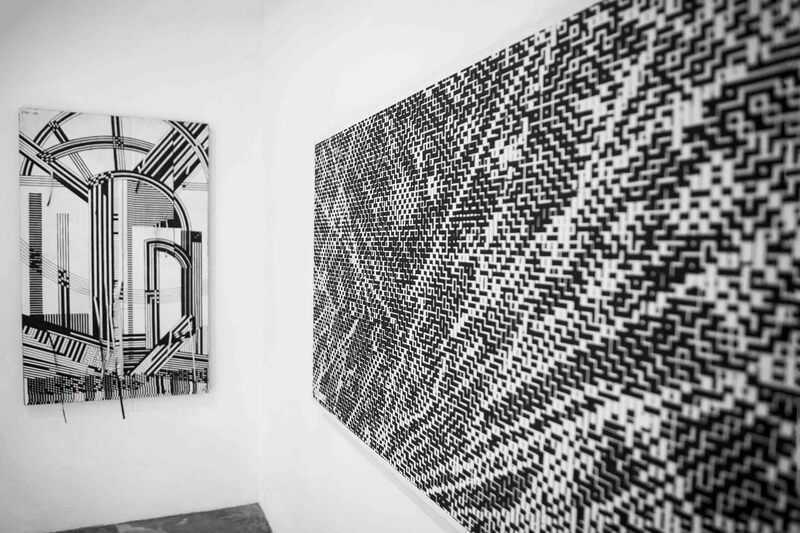 The artworks, composed of lines that resemble labyrinths or industrial landscapes, are created with a technique the artists call “Stencil Poster.” This process modifies the traditional style used in street art by creating paper matrixes stuck to the surface they work on and later cut, creating a stencil. They then cover it completely with paint and remove the mold, oftentimes leaving parts of it hanging from the finished piece. Hence, the destruction of the matrix is part of the creation process of the piece, bestowing its uniqueness. 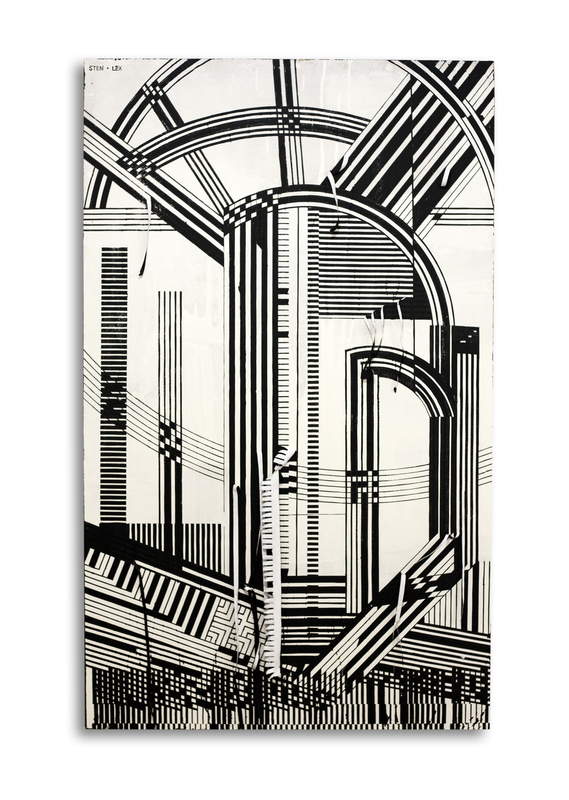 Contrasting these large architectural artworks, Sten Lex exhibit a collection of dark silhouettes created from free hand cut outs drawn on paper and contained in glass. 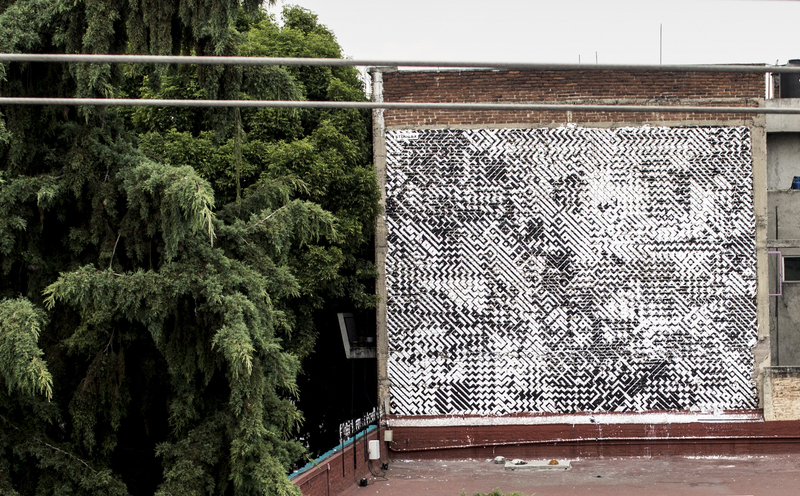 Through their shadow, these pieces project an organic image, altered by the changing light. 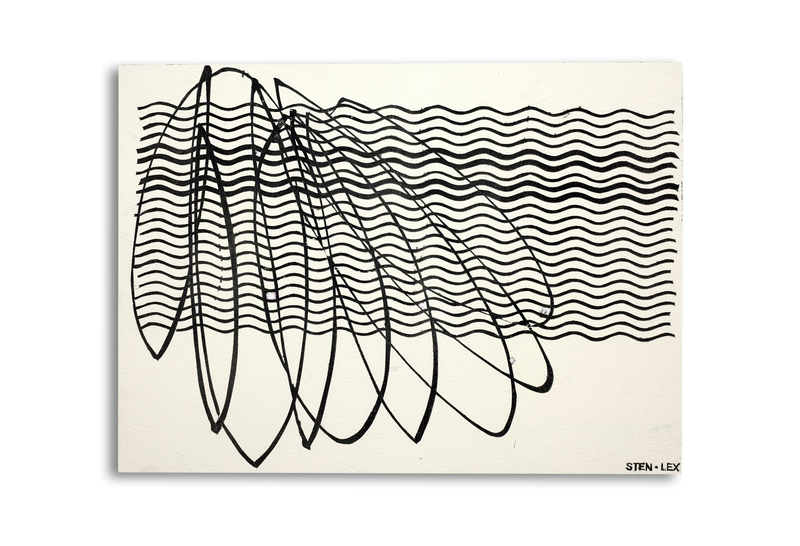 Thus the artists study both the logic and chaos of the lines, textures and figures of the creative process, using adhesion as an uncontrollable element that alters the rigid structures and jointly creates a contained chaos by enclosing light strokes within strict borders. 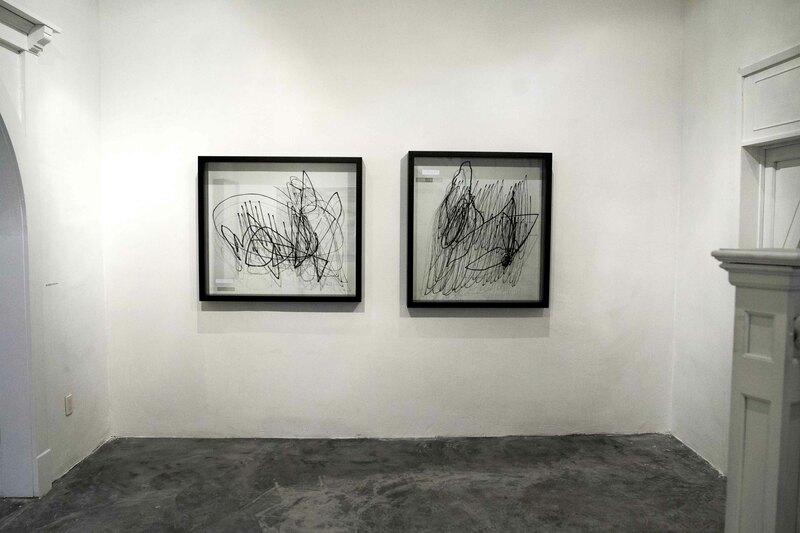 Celaya Brothers Gallery (CBG) is a unique space that challenges the creative limits of the participating artists. 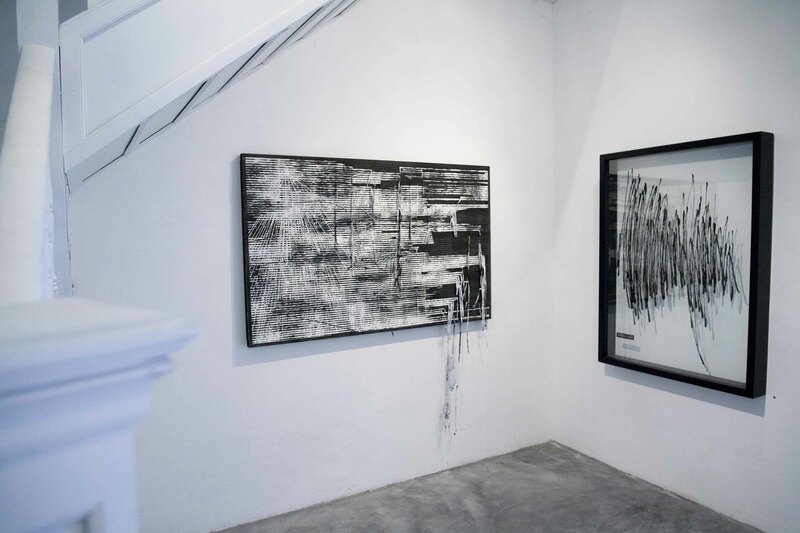 A contemporary art gallery with a proactive offer that invites international artists to develop unique concepts and defy the parameters of their time. CBG is based on the Celaya brothers’ involvement in the artists’ process and their absolute support in the creative freedom for all of their artworks. This is what shapes the spaces of the gallery. Thus, CBG is involved in the artist’s professional development, guiding him to experiment, risk and explore innovative ways of expression, always maintaining the quality and aesthetic discourse of each style.